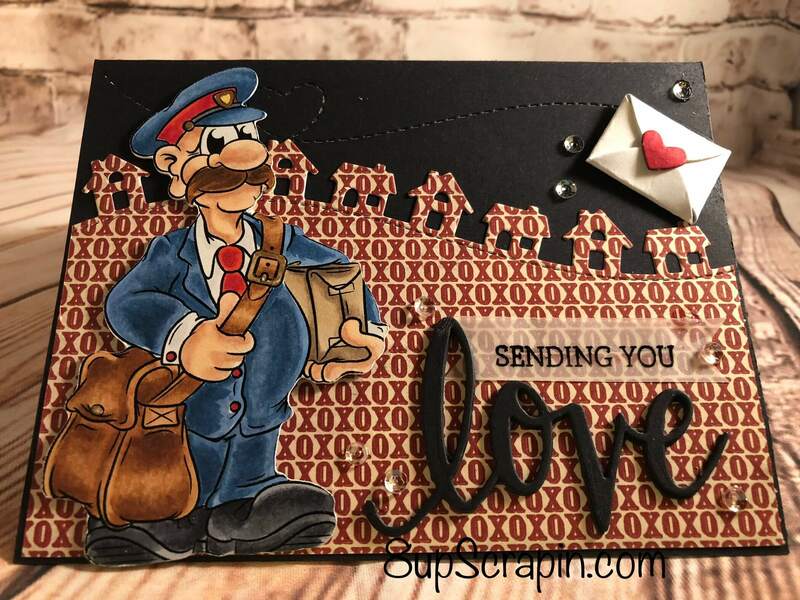 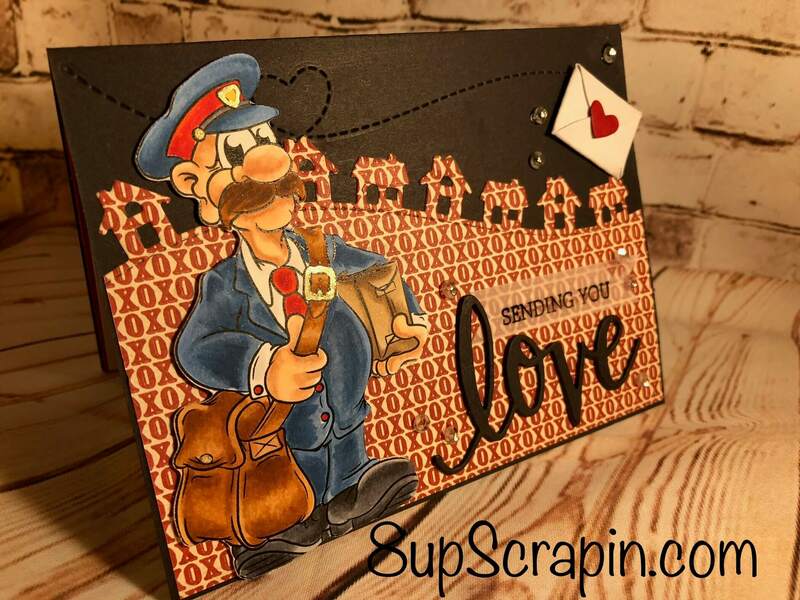 It’s Crystal here and today I have started making Valentine cards and today I am using Pierre the Postie from Dr. Digi’s House of Stamps . 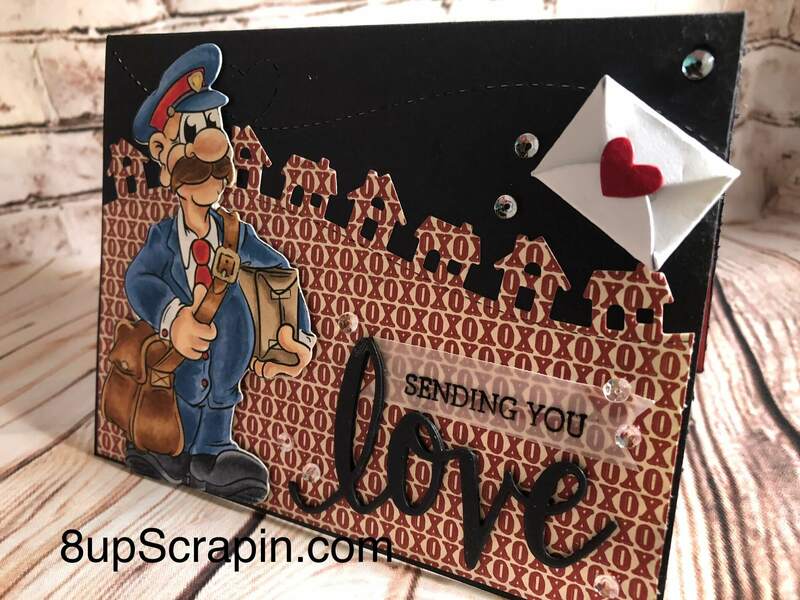 I colored my image with copic markers and cut him out using my Brother ScanNcut.I added die cut hillside houses in my background and the stitched heart trail above with a letter , I added the Love die cut an cut it 3 times an stacked it, my favorite way to really make your sentiment stand out on your card. 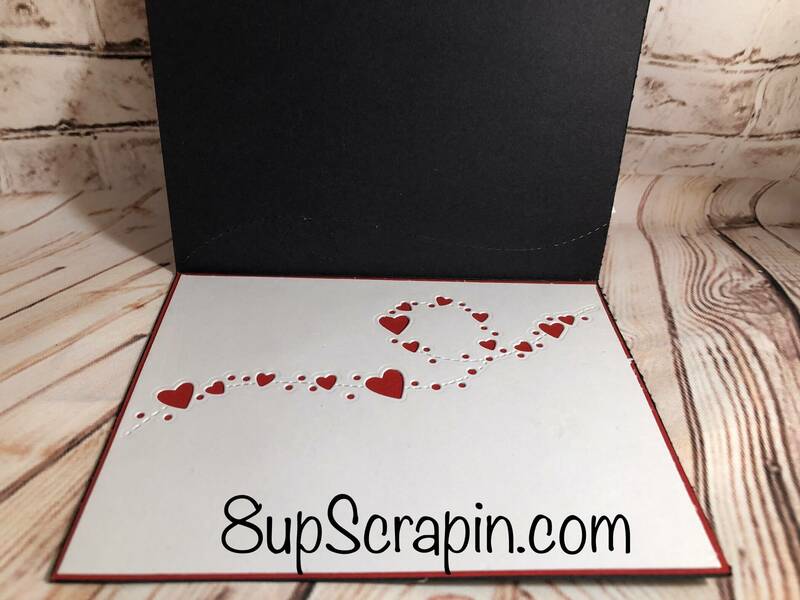 Thanks for stopping by , I hope you go check out all the awesome digital images Dr. Digi’s House of Stamps has to offer , so many great ones to create your next card or scrapbook page.